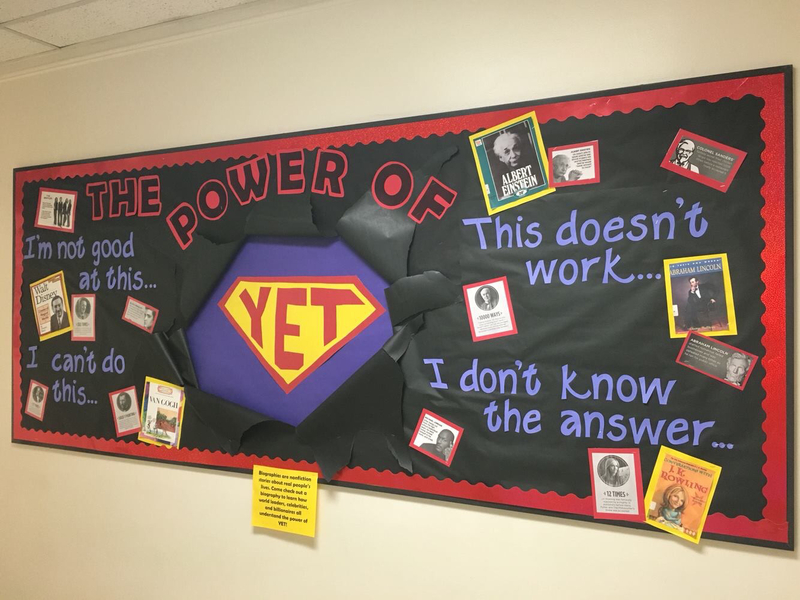 What a brilliant message to highlight to your class! Encourage your children to create a review of their favourite book and display it around the room. This is such an lovely looking display. A lovely idea to display class novels or books children have enjoyed in school or at home. 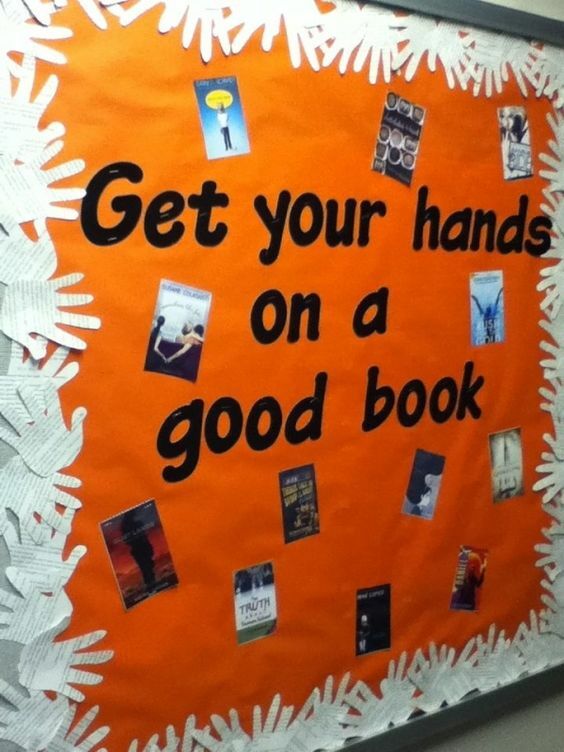 You could also have the hands holding the children’s favourite book. 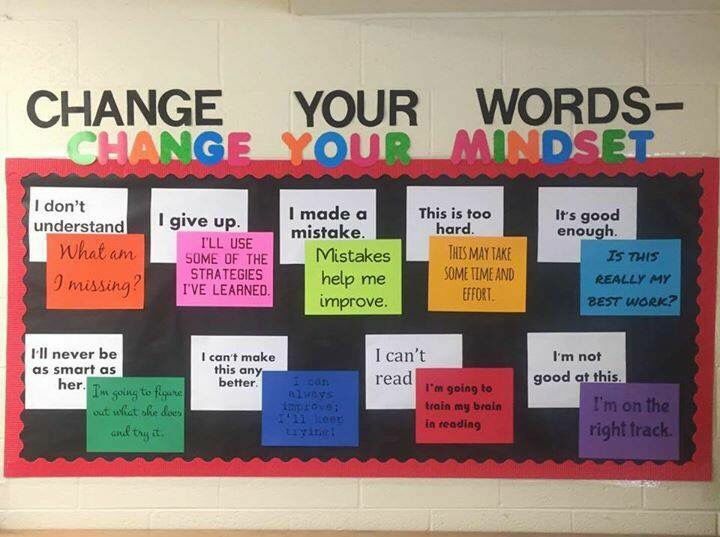 Help your class change their words to encourage positivity and improve confidence. 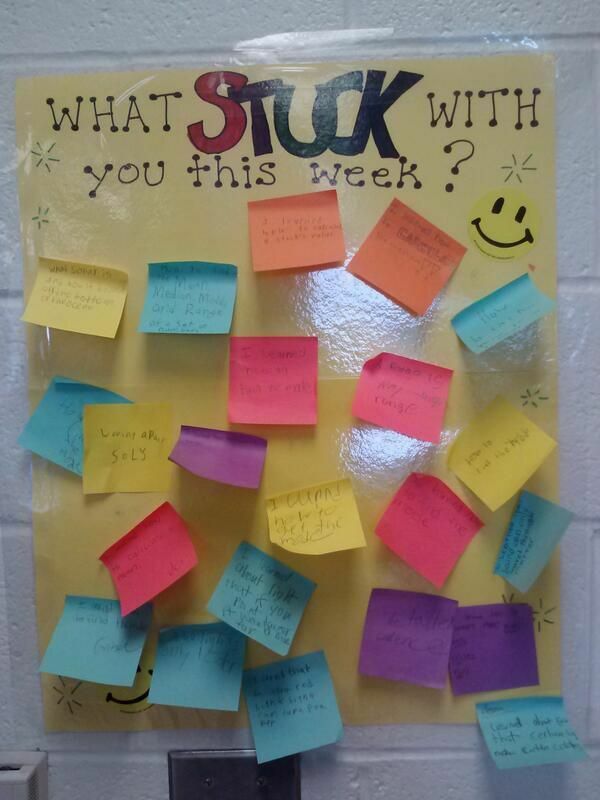 This is a fantastic way to emphasize to your class that answers need searched for and learning takes time. This is a very simple idea for a display on money. 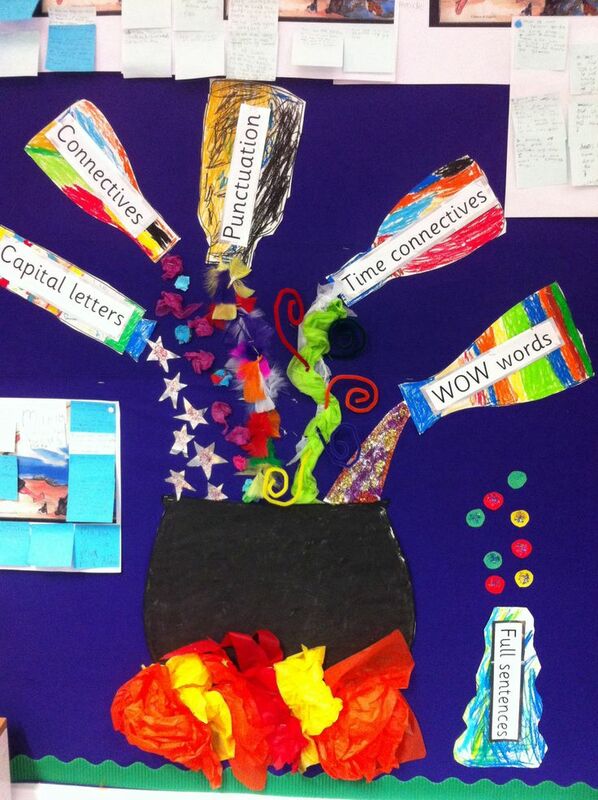 How can you help children choose words to improve their work whilst creating a beautiful working display. What about this one? Visually, I just love it! 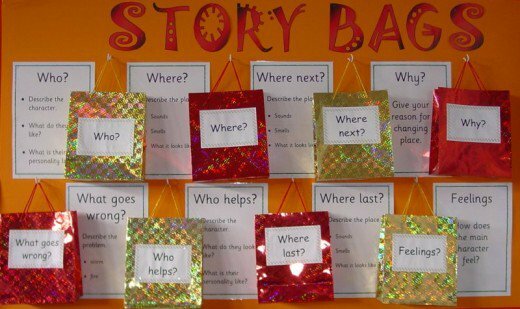 This is another great working display to help your children improve their narrative writing. If you are looking for a great numeracy and literacy display for your children to using during registration and free time, click the image. 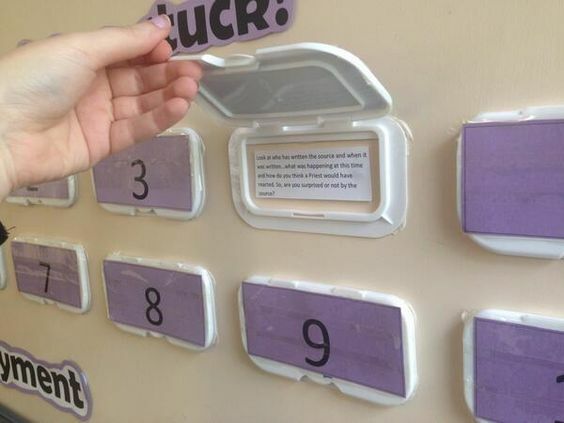 This interactive display can be used in a number of ways. The display has been created using baby wipe lids. Phonics – place a sound on the front of the lid and has a word list below. 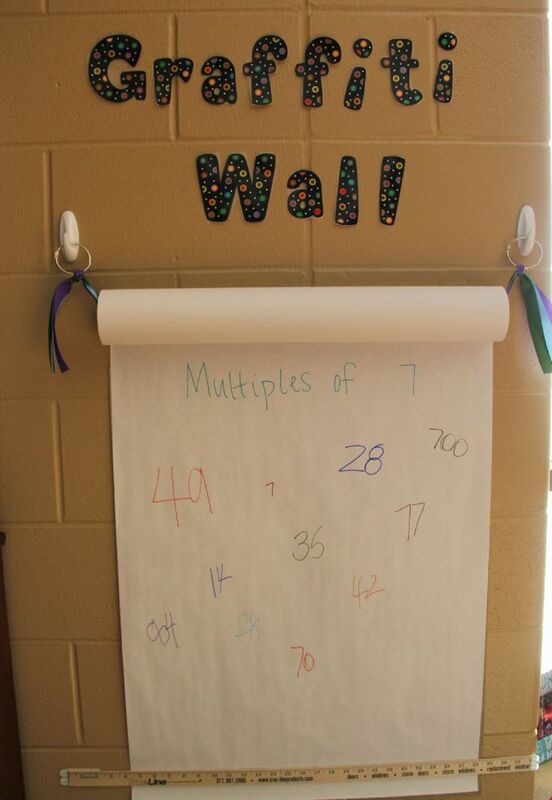 Multiplication Facts – place the numbers on the lid (as shown) and write the multiplication facts below. Synonyms – Have a list of synonyms below the lid. Shapes and Properties – Stick a shape on the cover and list the properties below. 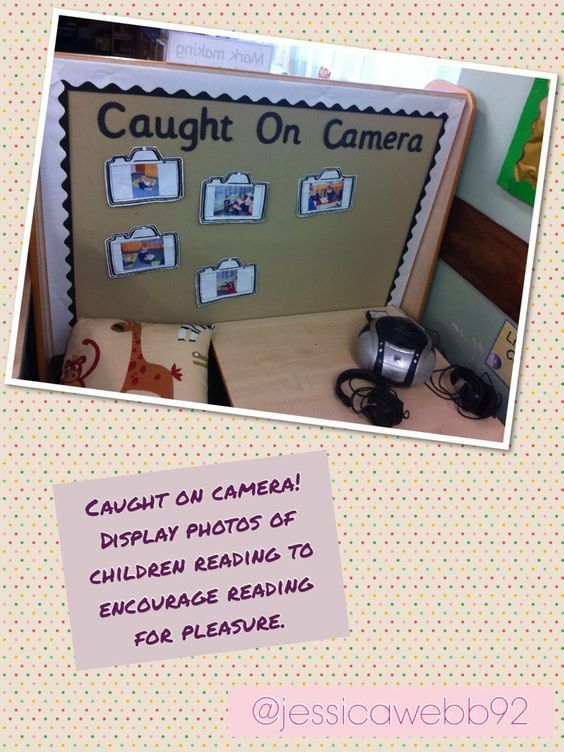 Interactive displays always prove useful throughout the year when the children get into the way of it. 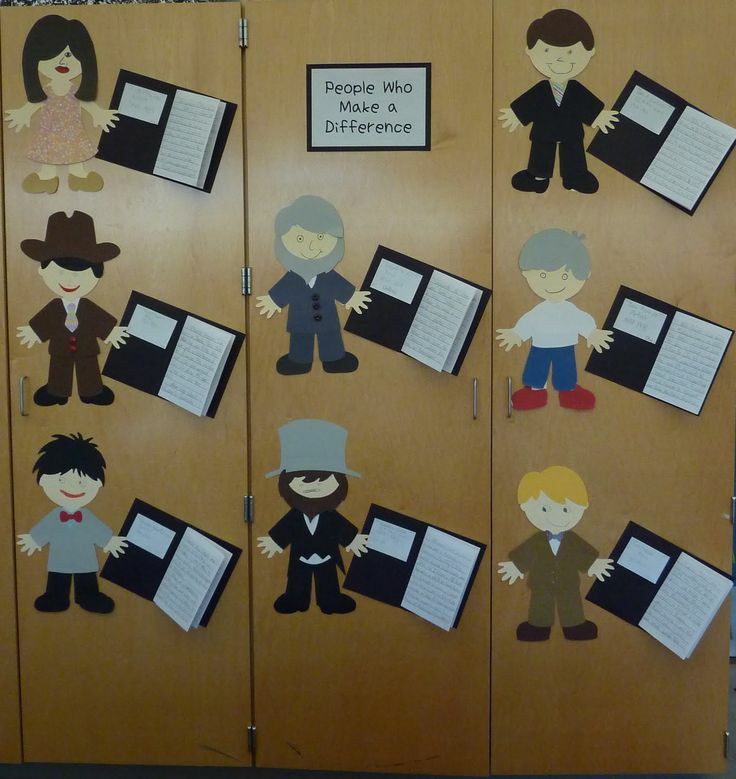 This display allows children to extend their vocabulary by having word pockets to refer to during writing. Click the image to take a peek. 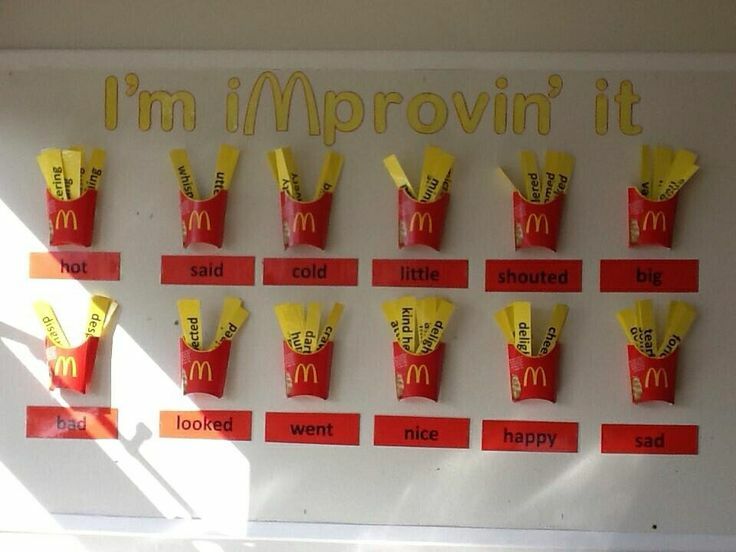 This is a super classroom display idea that encourages children to showcase their learning in different ways. 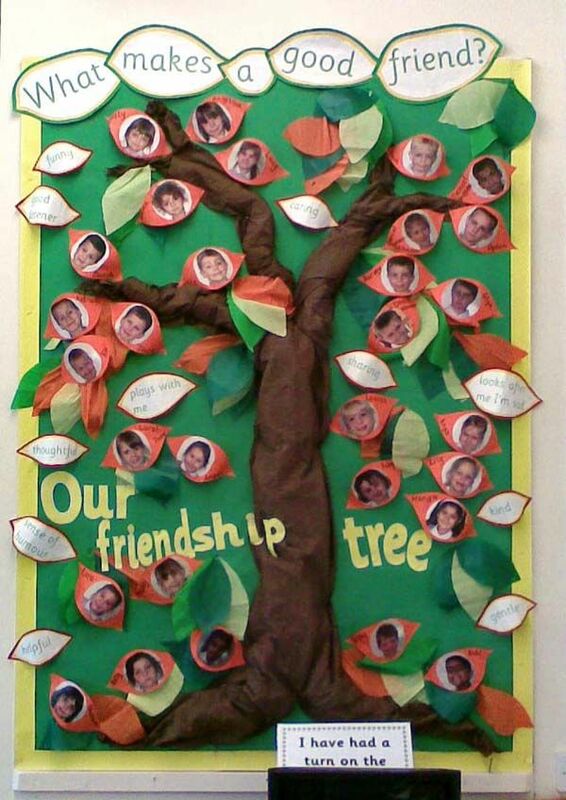 This can be the children’s display and they can take ownership to maintain and update it. Friendships grow over time. Allow your children to reflect on how they can be a better friend. 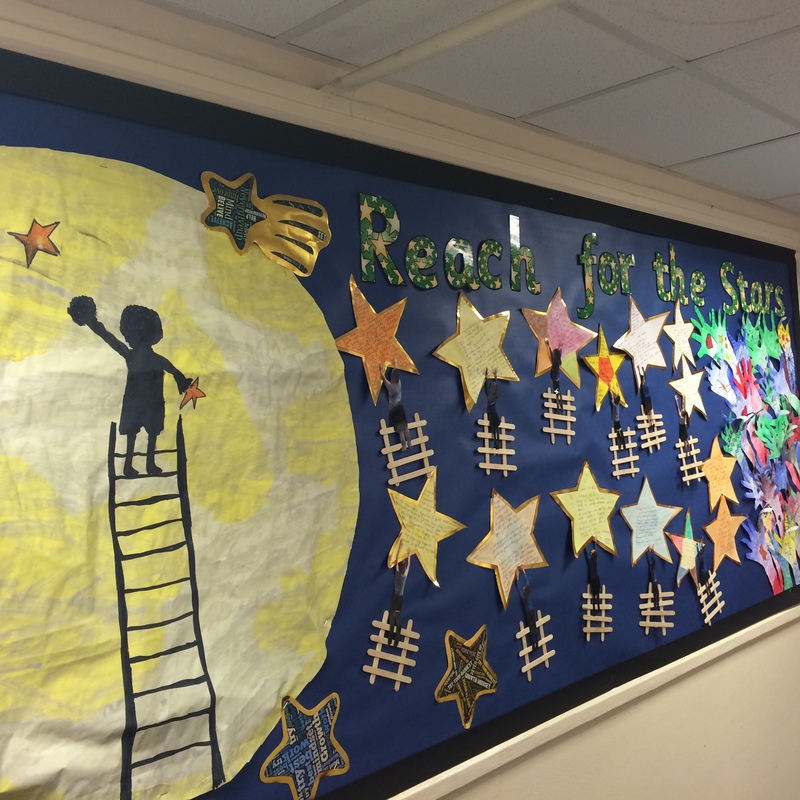 This display allow children the freedom to showcase their learning from the week. 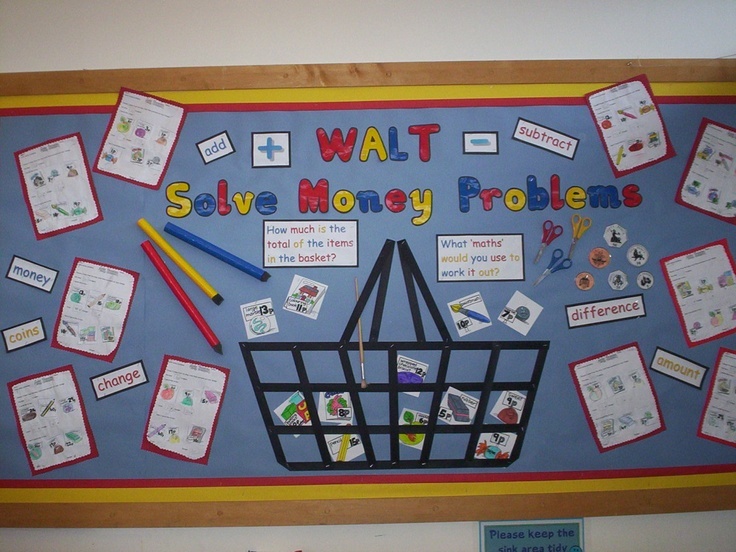 You could even write a problem or a question for the children to write answers. 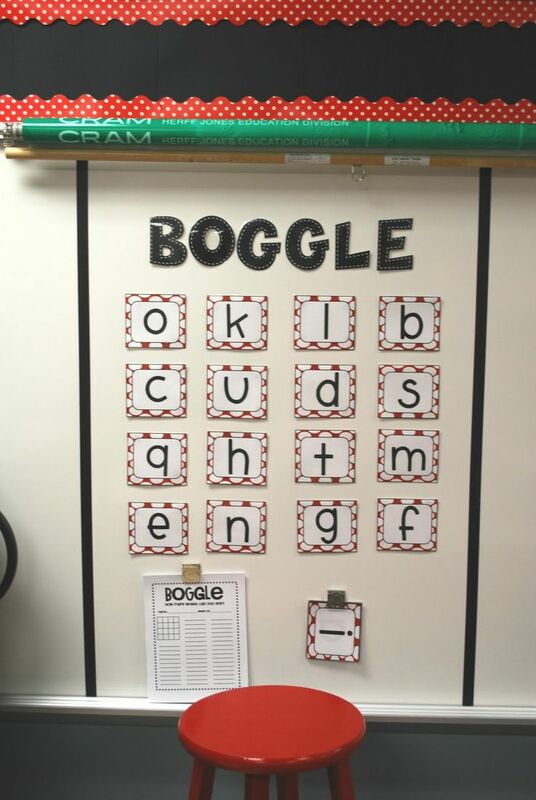 Allow your children to create different words using the letters on the wall. You could also link this to phonics and include blends. I really want to walk into this classroom. 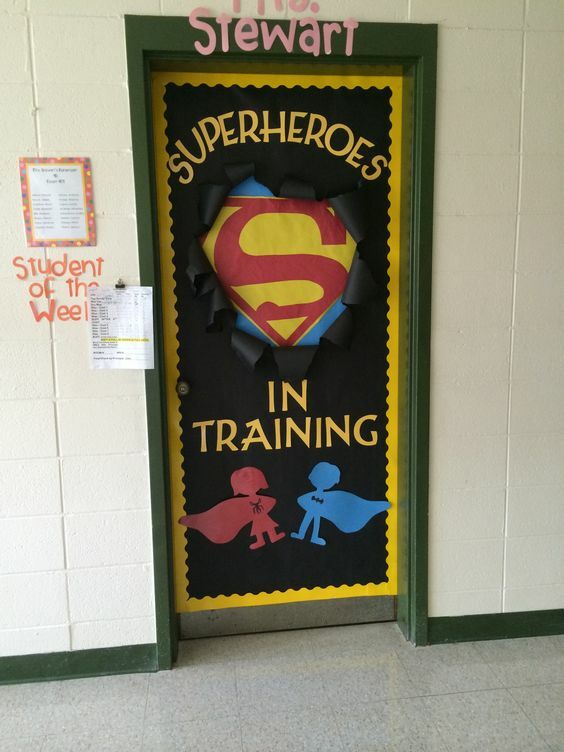 Looking at this display makes us teachers remember that we are making a difference – Our Little Superheroes! 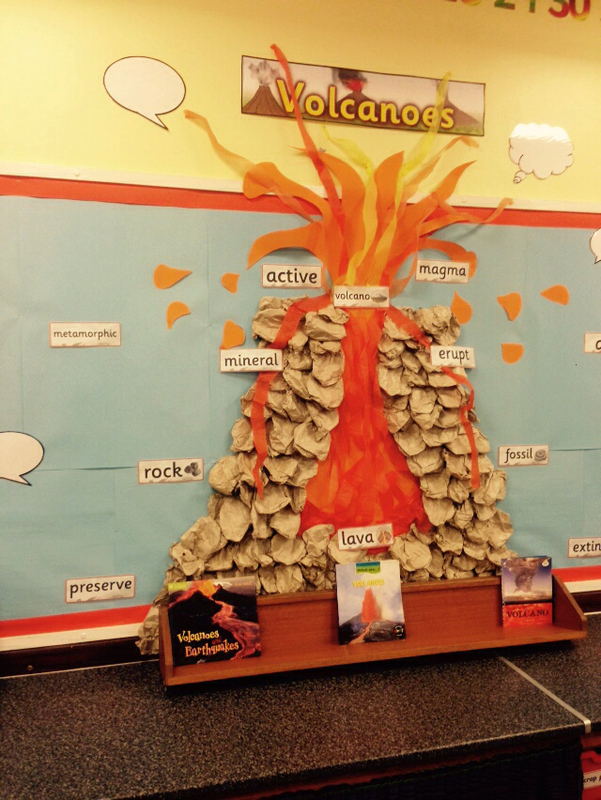 Check out this fantastic 3D volcano display that highlights the key vocabulary. The recipe for fantastic writing! This will encourage your children to remember the success criteria. 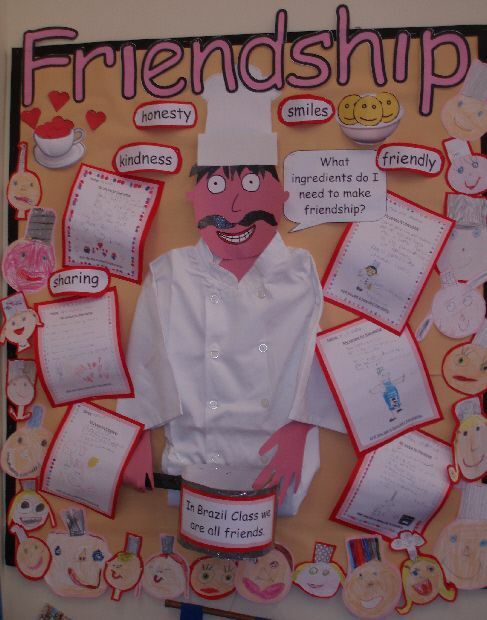 This example is a recipe for friendship but you could create recipes for many other things across the curriculum. 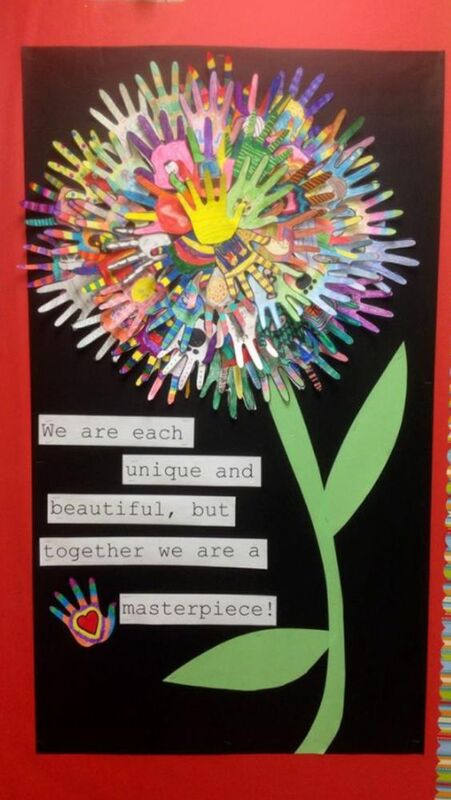 This is a fantastic way to teach your children about connectives in a meaningful way. Different stops represent different story connectives. Inspectors are always looking for displays that the children can use on a daily basis, which is why this display is one of our favourites. This is such a simple, yet effective display idea for a book/reading corner. I really wouldn’t have thought of this concept for a display. I would say it would take 10-15 minutes to create. 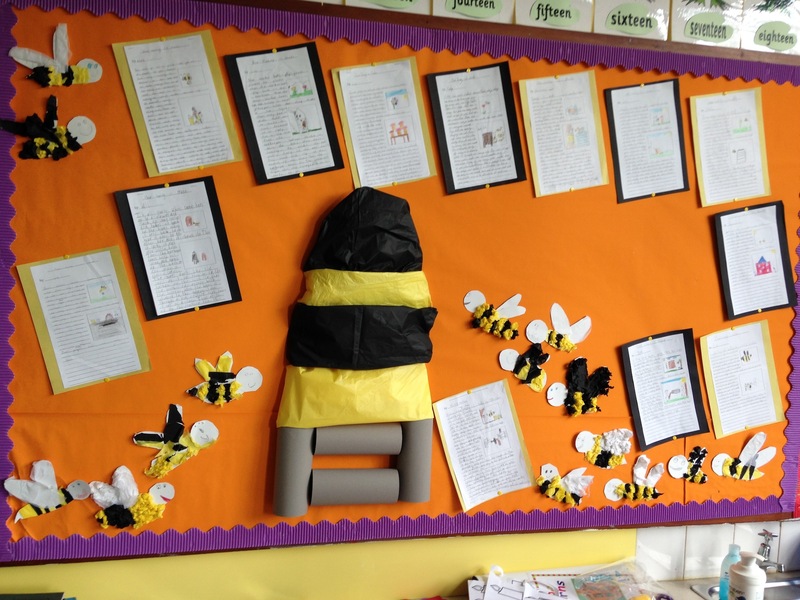 A visual bee hive display to accompany your explanation texts. This display is fantastic to encourage children to reflect on the week’s work and a chance to showcase what they have learnt. This is also an effective tool for the teacher to show who has grasped the concepts. Encourage your children to show what they have learnt by writing an example. E.g. If the children have been looking at tens and units addition, they could write a sum or two. 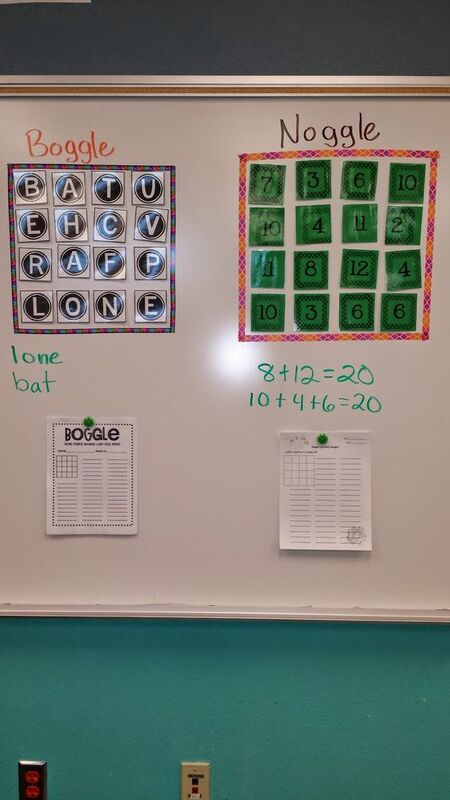 This is evidence of their learning throughout the week. 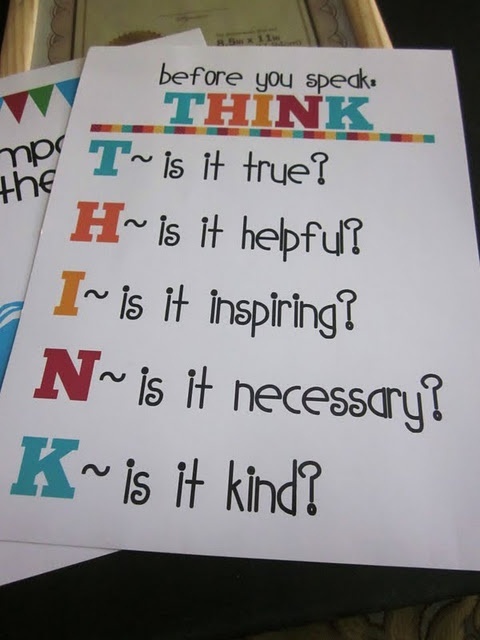 Think before you speak display. A great way to encourage your children to think about the consequences of their words. 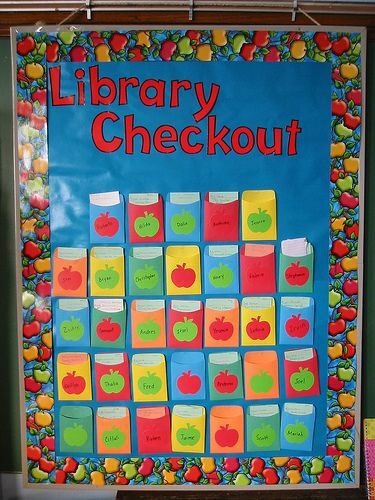 Creating a wall display like this one is a great way to encourage your class. It gives them a target to aim for. The boys would especially love this wall and you could capitalise on this is make it a literacy display to encourage reluctant readers and writers. 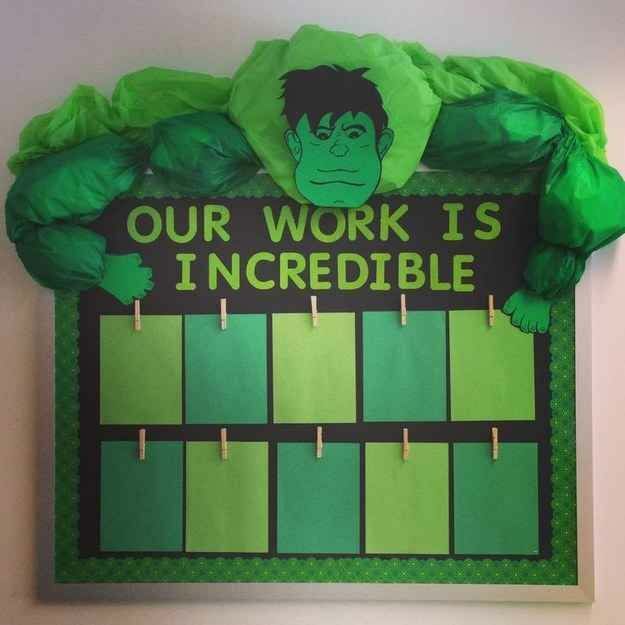 I’m sure the boys will be putting their best efforts to try and get their work on the ‘Incredible Hulk Wall’. This is a lovely way to highlight special achievements and special pieces of work throughout the year. I love the flexibility with this display as the spotlight can be on any child, for any reason, across any subject. You could link it in with behaviour, friendship, manners, written work, oral work, and sharing; the possibilities are endless! Let us know what you did with your display on our Facebook page. There are many different reasons for having a display. Sometimes the display showcases work, and sometimes the display brings a topic to life. A classroom display is said to be very effective when the children can interact with it and use it as a reference and resource. 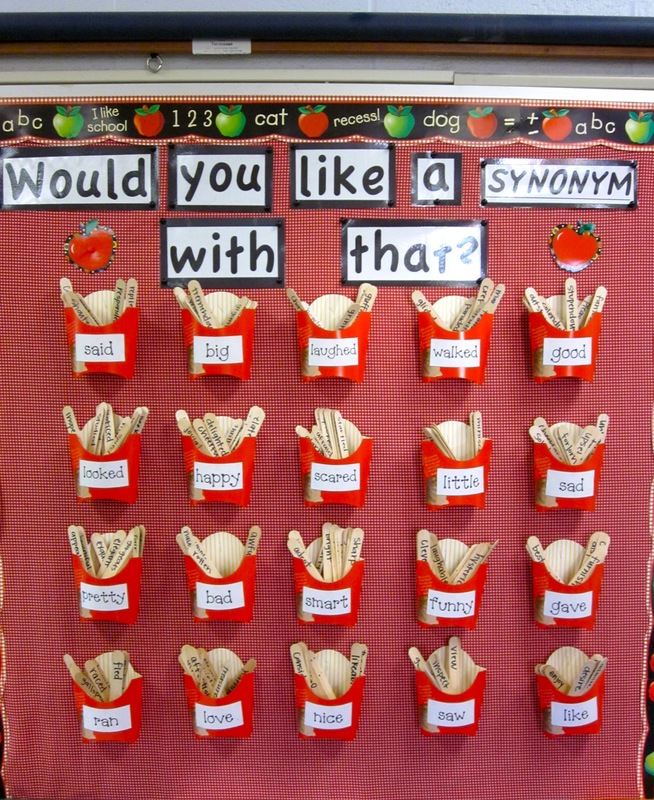 This classroom display is a great way to encourage children to learn new vocabulary and include it in their writing. 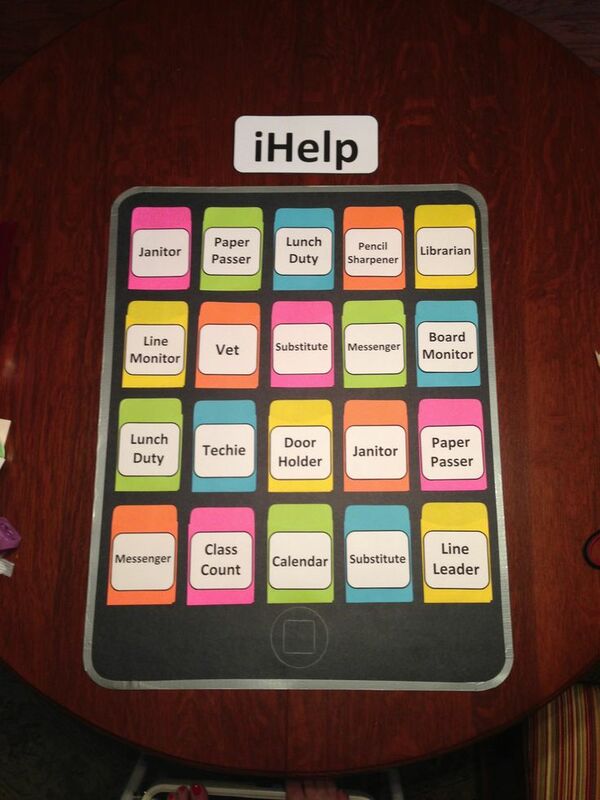 Embrace the technology age with this variation of a ‘Helpers’ classroom display. A great way to present a helpers board to show the lists of jobs. It is good to give a ‘Manger’ job to save you sorting the jobs each week. You could also create an iPad instead of the iPhone. 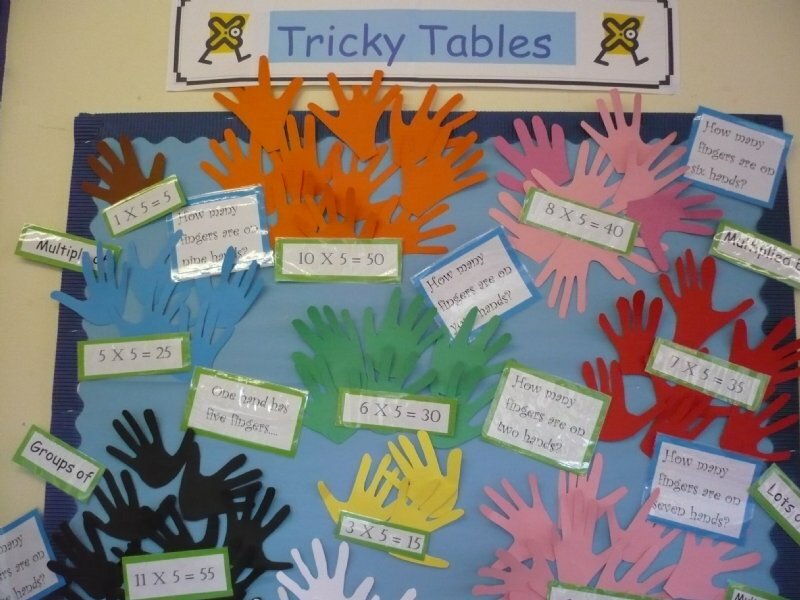 This is an effective display that the children can create to help them learn their tables. Creating a display like this not only gives the children an enjoyable, concrete method of learning tables, it also allows them to quantify the amounts, giving meaning. 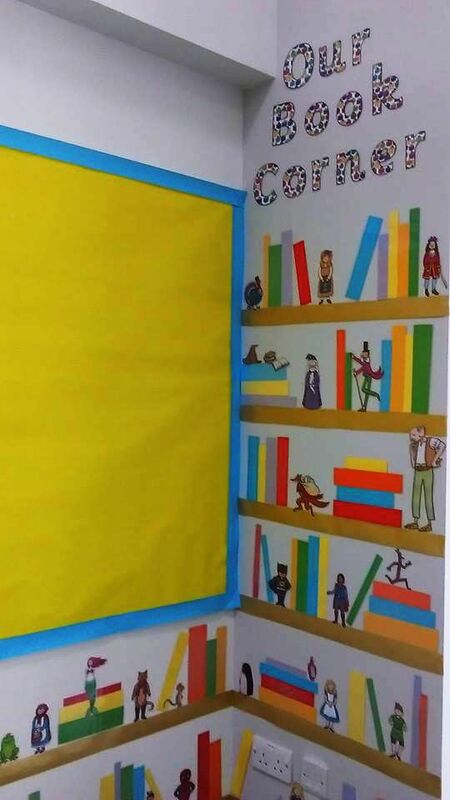 This classroom display is a great idea for a reading corner. 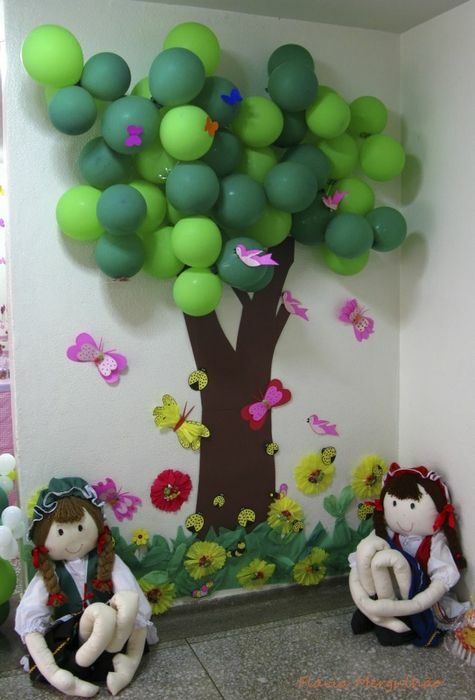 Children enjoy creative displays as much as the teachers, if not more so. Creating a classroom display like this will encourage reading, as i’m sure many children want to be sitting under ‘The Reading Tree’. This classroom resource is a great way to give your children more independence when borrowing and returning library books in early KS1. This display is great as it allows the children to keep a track of their targets in the lower end of the school. 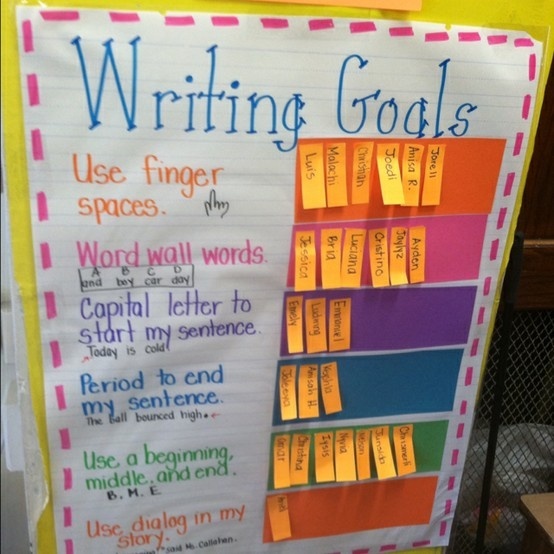 I especially like how post-it notes are used, as the children can progress on to new targets, nothing is set in stone. Encourage the children to select their own targets, encouraging them to be more reflective in their learning journey. 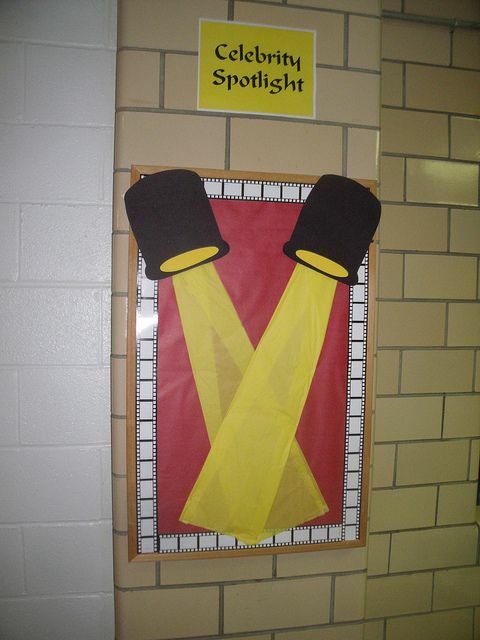 A display such as this also gives the children physical reminders about the teaching points opposed to oral reminders. You can even differentiate the targets depending on ability. A question we hear almost every day. 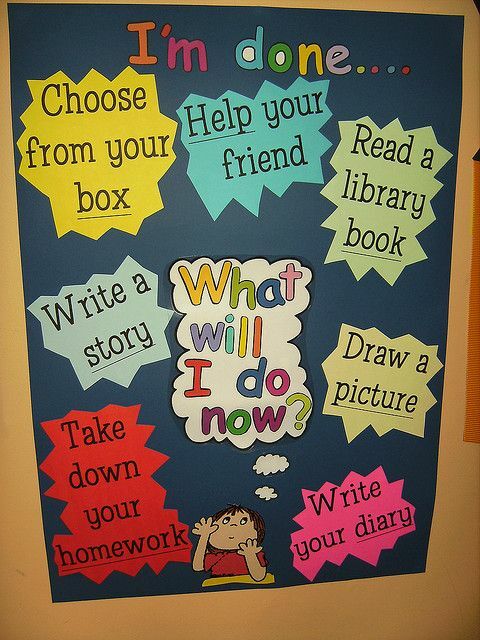 This display gives the children clear direction in filling time if they have completed a task. Again, modify this to suit you. You may have a ‘Busy Book’ or ‘News Bites Book’ that you could include on the board, or you could refer them to a ‘Checklist’ linked to a subject. I would also suggest not writing ‘draw a picture’ or ‘colour in’ for obvious reasons. Give the term ‘put on your thinking hats’ some meaning. This is a widely practiced strategy in schools across the world today. 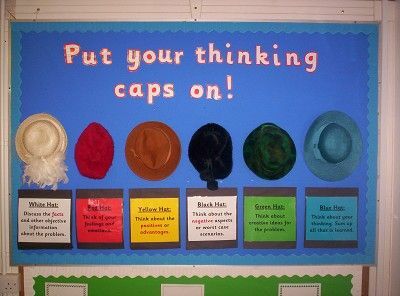 You can help the children in your class break down the analysing process using the steps of the hats. This is a simple water activity for Play or Activity Based Learning. The children can learn about and explore flowing water. A great display when learning about people who help us. The children can create a simple art piece and write a caption about how that particular person helps us. 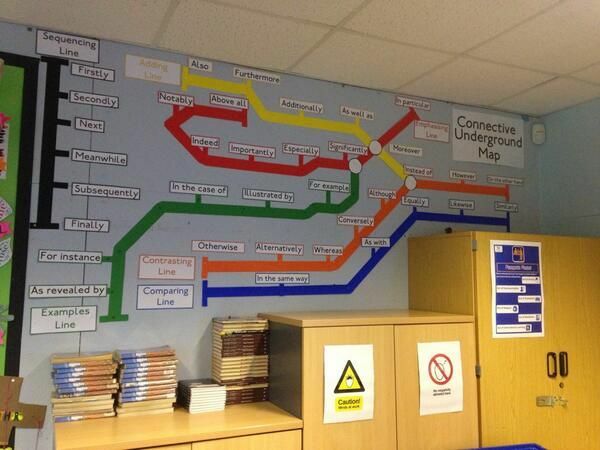 A great display idea for the beginning of the year or if you are covering and area in PDMU. 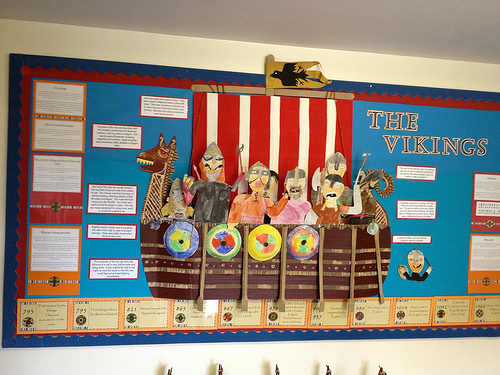 A great Vikings display. Displays like this one bring your topic to life. 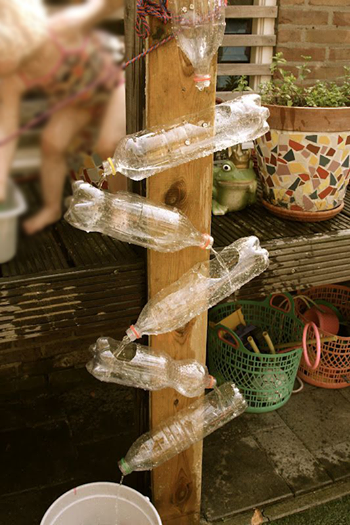 Allow the children to design and create as much of the display as possible. 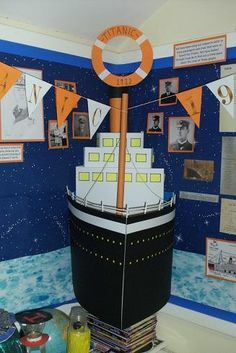 An eye-catching display which could be created by the children when learning about the Titanic. 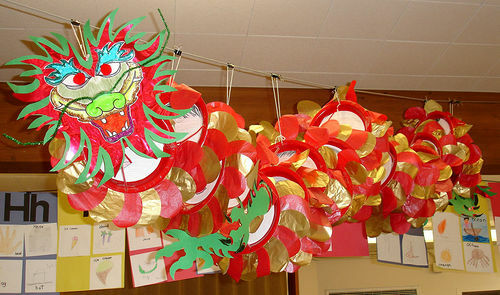 A vibrant hanging display when learning about celebrations from other cultures or China.